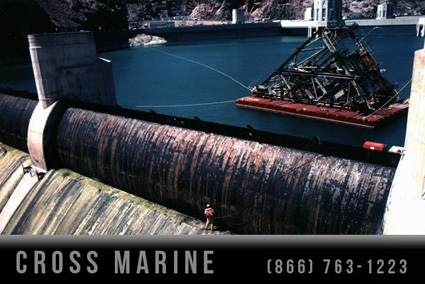 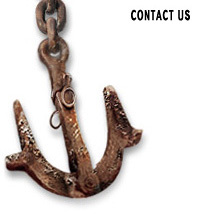 Commercial divers perform a dam lock gate repair, inspection and service. 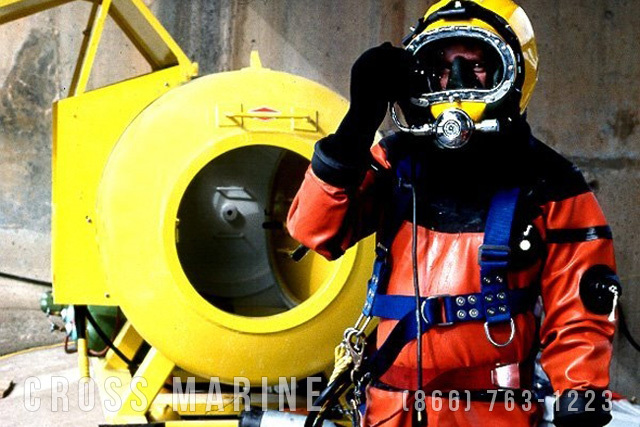 Commercial diver prepares for an underwater dam inspection with a decompression chamber in the background. 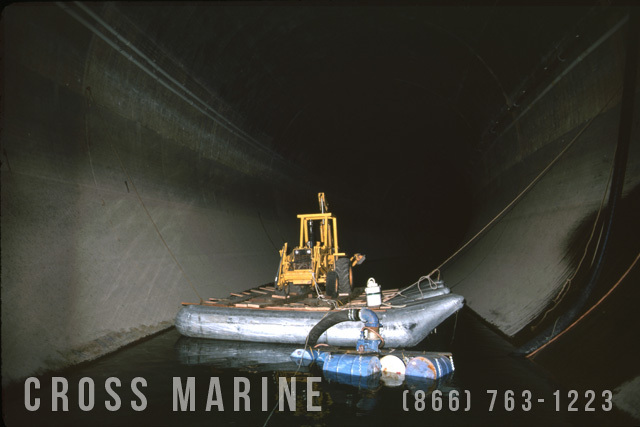 Transporting equipment into a dam’s flood relief tunnel as part of a dam inspection, repair, and installation project.